Integrity & Reliability Guarantees Satisfaction! Suncity travels began over 20 years ago with just a dream. Today we are one of the largest names in travel industries across the world. With head offices in Ontario, Canada and Associate Offices in Sri Lanka, our dedicated team of agents specialize in providing you with the lowest prices in Airfares, Travel Insurance Coverage, Hotel Bookings, Vacation Packages and Car Rentals. Our agents deliver attentive services suited to your every need during each step of your vacation planning, as well as throughout your trip. We guarantee an extraordinary experience that mesmerizes even the most discerning traveler. Suncity has a long standing reputation of satisfied clients worldwide. Weather your looking forward to a weekend getaway or a journey of a lifetime, travelers can rest assured knowing their personal preferences will be apart of every aspect of their trip. At Suncity we are revolutionizing the way in which you reach your destination. Multiculturalism is essential to us, that is why our agent’s possess cultural and linguistic backgrounds that are useful to the most diverse traveler. You never have to worry about your trip when booking with Suncity, we take care of all your minute details so you don’t have to! We are strongly committed to protecting your privacy. As a distributor of various travel services, we ascribe particular importance in protecting the personal information in which you share with us. In this regard, we constantly strive to maintain your trust. We attain and process personal information about our customers in order to comply with legal/regulatory requirements, and to bolster and enhance customer relations in connection to our product and services. Suncity has developed and implemented internal policies and procedures that are devised to offer the highest protection for your personal information in our possession, and we review them on a routine basis. We educate our agents on the importance of protecting your personal information by regularly training them and issuing guidelines emphasizing their role and obligations in this aspect. We partake in great measures to ensure that our agents, representatives and third party organizations comply with said Policy (i.e. airport service providers, tour operators, hotel operators, data processing/data storage companies, payment processors, etc.). For the purposes of our Policy, “Personal Information” is regarded as information that will allow an individual to be identified (i.e. email address, telephone number or medical and financial records). We recommend that you have proper insurance coverage for your Trip. You must be covered for the entire duration of your trip starting when you leave home and ending when you return home. 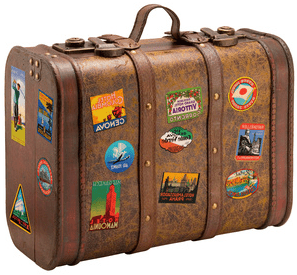 You may get quotes on the following coverage from Sun City Travels. Travel/Flight accidents- Trip cancellation or interruptions- emergency Medical treatments-Baggage losses or delays. We strongly recommend that you visit http//travel.gc.ca/travelling/advisories to be aware of any relevant travel advisories before finalizing your travel plans. We request the customers to check the weather conditions to be aware of it before finalizing their travel plans. Travelers may require a passport and Visa. It is the responsibility of the Traveler to ensure that they have the appropriate documents before planning their trips. Visa requirements for Canadian Citizens are administrative entry restrictions by the authorities of other states placed on Citizens of Canada. According to the 2016 VISA Restrictions index holders of a Canadian passport can visit 172 countries and territories Visa free or with Visa on arrival. Visa request for Canadian Citizens-Wikipedia. Visa-free travel for Canadian citizens-Embassy finder. If the customer intend to use a credit card or a Debit Card for the purchase and relevant expenses of his trip, he/she should contact the relevant financial institution and arrange /ensure that the required fund will be available for disbursements. ©2018 Suncity Travels-Canada. All rights reserved. Design and Developed by Niukraids Inc.